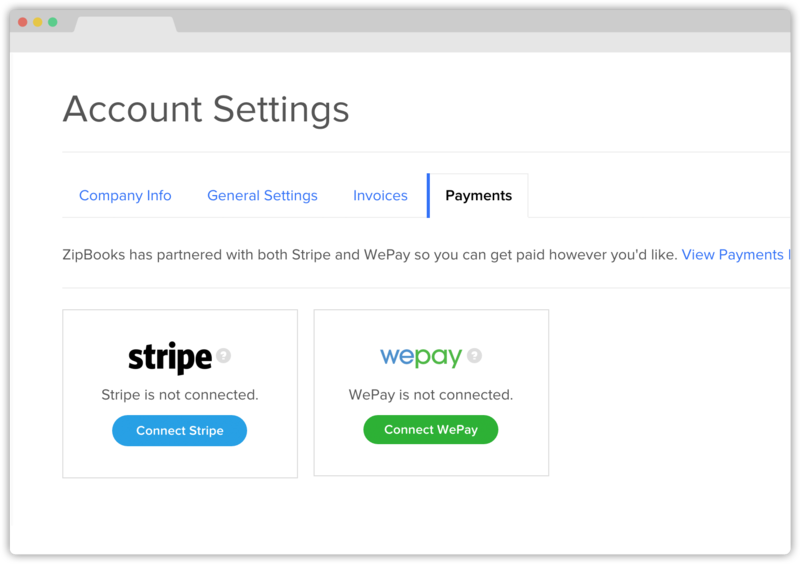 We’ve been getting a lot of requests to integrate with Stripe, so we did! 1. After logging in to your ZipBooks account, click “Account” in the sidebar menu. 2. Click the “Payments” tab on the top right. 3. Click “Connect Stripe” and complete your application. 4. Submit your application and you will be redirected back to ZipBooks. 5. Click the “Accept Credit Cards” box below terms on each new invoice. If you already have a WePay account, you will be prompted for which credit card processor you would like to use. Let us know what you think and keep the feedback coming!